Look to New Era to provide you with custom designed and built automated roll handling carts, for loading and unloading your unwinds and winders. 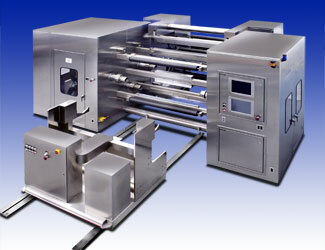 These systems can be provided with a variety of options and features to meet your needs. 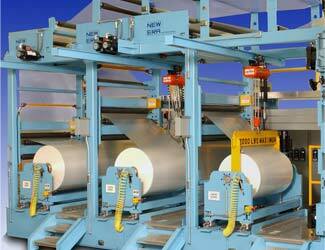 New Era offers a wide variety of fully integrated roll handling systems, complete with automated roll handling carts and unwinding/winding equipment. This approach allows for the seamless combining of the operations. 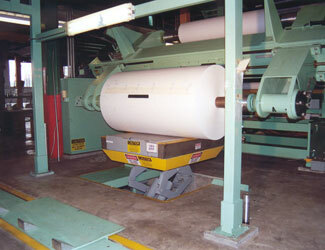 Your process may require specially designed transport carts to deliver or remove rolls of material to/from your process. New Era can provide you with a system engineered around your needs. 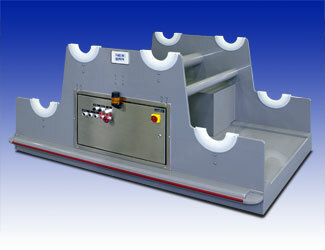 New Era can supply you with floor lift tables designed to interface with your unwinds and winders. Our engineering team will work with you to provide a system that meets your needs. New Era can provide a hoist system, integrated into the web processing lines that we supply, for ease of loading and unloading unwinds and winders. 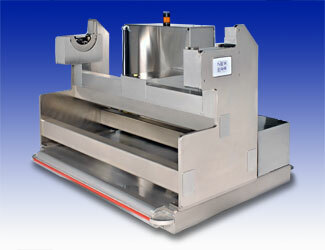 Each system is designed to match the process requirements.